A simple and easy way to protect your home. Just because the top of your chimney is on the roof, doesn’t mean it should become out of sight, out of mind. Chimney caps are an inexpensive measure to offer safety, prevent damage and provide long-term protection for your heating appliance chimney. Most chimney caps are designed to prevent rain from entering your chimney. If rain or snow do get in, rust can build up on your flue or chimney wall, leading to hazardous conditions that call for expensive repairs. 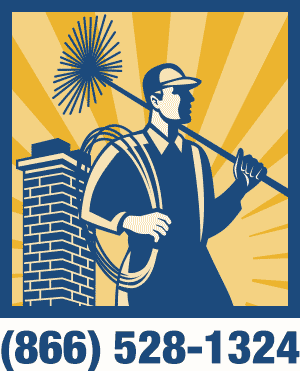 It’s better to be proactive and prevent any precipitation from entering your chimney at all. Chimney caps are essential, especially when it comes to your gas burner chimney. Without a proper cap, strong winds can blow dangerous gases such as carbon monoxide back into your house. Caps also prevent tree debris, leaves and branches from falling into your chimney and creating a dangerous blockage. Some chimney caps also include an animal guard to keep birds, squirrels and other small animals out of your chimney. Guaranteed will inspect the chimney cap on your gas or oil burner and make sure that everything is ventilating properly. If your chimney cap is damaged, we can repair it. We have chimney caps in standard sizes but can also accommodate any sized chimney. Most of our caps come in stainless steel and can be ordered in a variety of colors to match your exterior home décor. Thank you for the recent work your company completed on my chimney cap. You spent a good deal of time to correct a long standing smoke problem I had in my chimney fireplace. By installing a custom made chimney cap and flue system my problem has been resolved. I thank you for the professional quality work the timely manner in which it was completed and will not hesitate to refer you to friends who might need your services.